Arrive at Kuala Lumpur International Airport and transfer to your hotel in the heart of the bustling city. Time permitting take a half day city tour. Visit the King’s Palace, the twin towers and have dinner overlooking the city at KL Towers. Start the day at the National Mosque, Thien Hau Temple, The House of Parliament and Independence Square. Travel to the Cameron Highlands, take in the views and the cool mountain climate from this mountain resort. Spend the day enjoying the old world colonial charm of British Malaya. 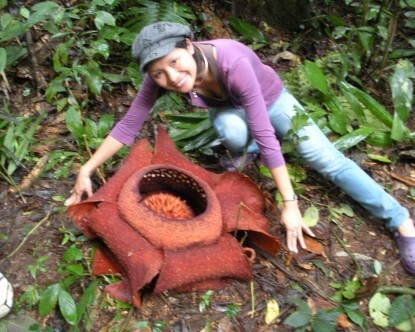 Visit the Boh Tea plantation and mountain roads, Take a short trek through the jungle in search of the Rafflesia, the worlds largest flower. Descend along the mountain road crossing the famous Penang Bridge to Penang Island. Spend the rest of the day relaxing on the beach or at your hotel resort. A morning short visit to the Botanical Gardens before taking the ferry to Langkawi Island. Island Hopping the archipelago of a hundred islands makes for a packed half day boat tour of scenic cliffs, bays, secret coves and hidden inlets. Peaceful swimming and snorkelling is the big opportunity around these small uninhabited islets. Visit the Isle of the Pregnant Maiden or make the most of our brief stopover at the animal sanctuary of Singa Besar. Enjoy the stunning beach at Langkawi with lots of activities to choose from including snorkeling, underwater world, diving or enjoying the shops and excellent cuisine. Free at leisure until your transfer to the airport for your flight back to Kuala Lumpur and your connecting flight back to the UK.